Google Alicia Keys braids, then click images. You now have perfect inspiration for the revival of the latest hair trend, Tribal braids. Recently seen on Hair Maven “Ming Lee” and Xscape member “Tiny Harris” who have contributed to this being the most highly requested braided hairstyle of the moment. 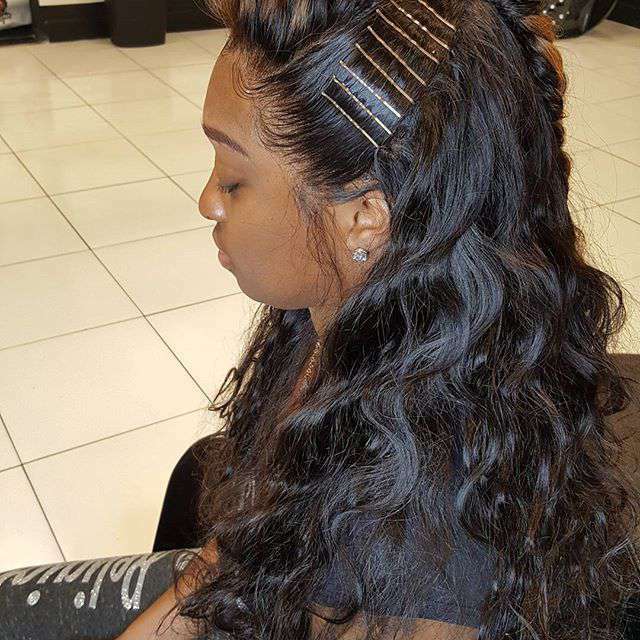 This hairstyle can be worn on natural or relaxed hair. Braided hairstyles are a recommended protective hairstyle in summer weather. What we love, not only are you able to bring out your inner African Goddess with all the different hair accessory options available. This hairstyle is also practical. Your able to enjoy the water completely, while on vacay. We can all agree. There is no female rapper more influential in the hair world, than Lil Kim the queen bee. Her iconic colored wigs with matching outfits in her video “Crush on You” released 20 years ago, is still influential today. This hair trend is usually done by using Brazilian Full Lace wigs on blonde hair extensions to get the best vibrancy of the color your trying to achieve. Additionally, an easy alternative for someone who doesn’t want to dye their natural hair. Recently seen on video vixen and entrepreneur Keyshia Ka’oir during her unexpected engagement to rapper Gucci Mane at an Atlanta Hawks basketball game. This hair trend shows no sign of slowing down anytime soon. One celebrity who is always ahead of the hair trends is Rhianna. She did not create this hair trend but is instrumental in making it a popular hairstyle. I know you’ve encountered someone wearing bobby pins as a fashion statement. Now with the Brazilian full lace wig movement pulling full steam ahead. Bobby pins are now a highly requested hair accessory.